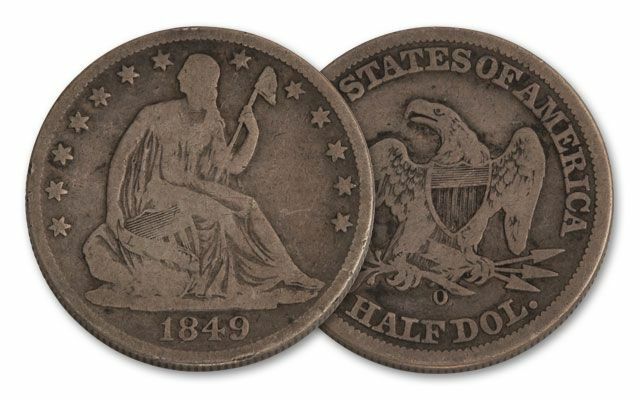 Millions of Seated Liberty Half Dollars were struck between 1839 and 1891. Yet today they’re one of the toughest-to-find vintage 19th century coins. Why? Ironically, the discovery of gold in California in 1848 caused their silver values to rise, and those millions of half dollars being churned out by the mint every year were snapped up by profiteers and sent to the West Indies where they were melted to get their silver! 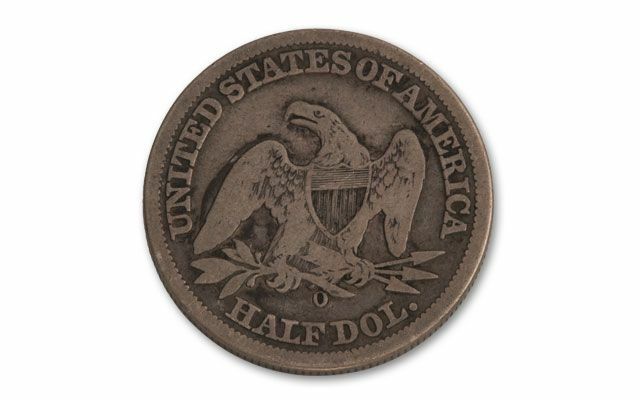 Your Half Dollar will come struck at the New Orleans Mint from 1840 to 1861. Each contains 90% silver and comes in Good to Very Good (G-VG) condition, housed in a deluxe presentation case, with a certificate of authenticity and a storybook about the historic U.S. Branch Mints. We’re proud to offer these big silver coins. They’ll go fast-—and not to Jamaica, mon! Dates vary.